i have to change the configuration of my bedroom for medical reasons. I need to put the tv on another wall with cable box on another. Will this transmit the hd cable signal to the HD tv? BEST ANSWER: Thank you for your question. Yes, this will definitely transmit your HD cable signal from the cable box on one wall to the TV that is on the other wall. 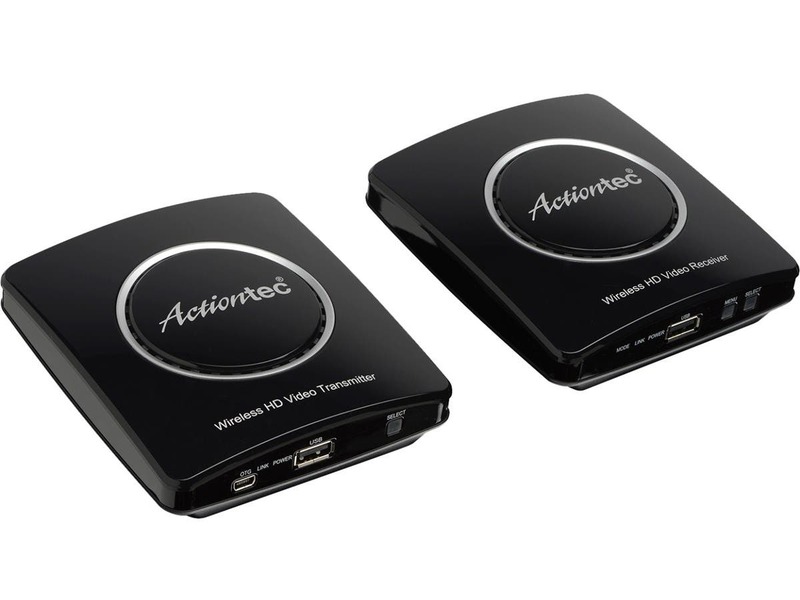 You would just need to connect the receiver to the TV and transmitter to the cable box using an HDMI cable. I hope this helps. It looks as tho both the TX and RX use USB to power it, is that correct? My intention is to place the transmitter in my Family Room (indoors) and have the receiver attached to a television in my backyard (outdoors) to watch Football on the patio or in the spa (smile). This would require the signal to pass through the exterior wall of the home. Is this possible? Will the picture quality be good? Will this device transfer the original audio codec as well? Do these devices include an IR extender?